Following up on “Man of Steel,” “Batman v. Superman” is the second entry in the DC expanded universe. Similar to the Marvel Cinematic Universe, the DCEU ties in multiple films and characters into one continuous series. Let’s just get this straight: “Batman v. Superman: Dawn of Justice” is not bad. Despite all the critics hailing it as the second crucifixion of Christ, there really was no totally offensive content on display here. It should be taken as tacit that a super-hero movie would be about the super heroes, but somehow “Dawn of Justice” manages to make men clad in ridiculous costumes completely uninteresting. It should be applauded for how quickly the film can kill intrigue; within the first five minutes of the film, I was rolling my eyes at the blatant, messianic imagery being employed instead of actual story telling. Speaking of heavy-handed symbolism, most actors lean heavily on the reputation of their characters instead of actually developing their personalities, relaying on one-note performances for the entirety of the film. Infuriatingly, this is not the actors’ fault, but rather the writers’. Jesse Eisenberg, for example, could have been a fantastic self-centered, super nerd, but the writers forgot to give him a motive. The entire film goes by without giving him a proper reason as to why he does anything. Nothing of consequence happens in this two-hour odyssey, and the only bits of excitement that can be gleamed from this tedious mess come at the end when Wonder Woman shows up. For a brief 10 minutes, the film becomes tolerable enough to penetrate the boredom that had settled in at that point. The film lifts some of DC’s biggest moments from the 1990s, creating an amalgamation of the worst parts of the Batman and Superman legacy. I don’t feel bad “spoiling” this for a number of reasons, but this is necessary to talk about because that era was very significant. The reason it was so significant was because the comic industry nearly died at the time, and the fault for that crash falls squarely on the shoulders of the publishers. Nowadays, the comic-book industry is not in such a desperate place thanks to excellent adaptations coming out of Marvel and Image. DC, however, is not as well-secured as its rivals, and the reason why is readily apparent in this movie: It has no idea what it is doing anymore. DC has become a shadow of itself, desperately chasing after trends in order to stay relevant in a world that is changing around it too quickly for it to follow. “Batman v. Superman: Dawn of Justice” is the epitome of irrelevancy. Everything from the story to the themes to the messages are of no consequence to anyone in the film or in the audience. 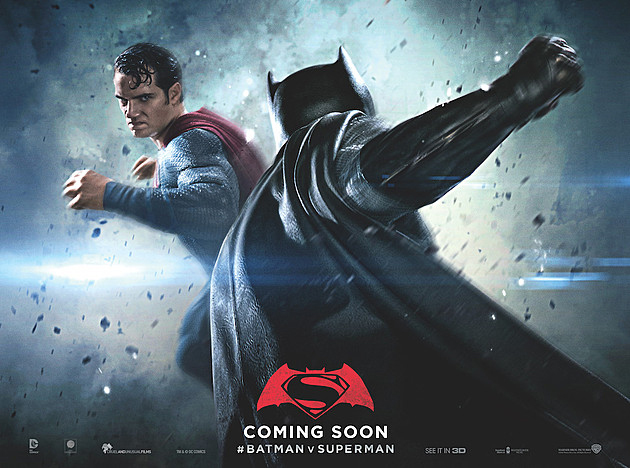 “Batman v. Superman: Dawn of Justice” is a movie that will be forgotten within a year. But please, just give me a Wonder Woman movie already.